Industrial bolting tools can be found working on power plants, building bridges and installing pipelines. And as with any tools, you need to exercise caution while using them. 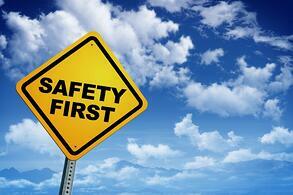 Here are a few safety tips to follow when using industrial bolting tools. 1. Start by making sure your work area is safe. A safe work area is one that’s clean and well-lit. If you have a lot of clutter, or can’t see properly, you’ve opened the door to an accident. Be careful not to operate tools near flammable liquids, gases or dusts. Industrial bolting tools may create sparks and ignite dust or fumes. 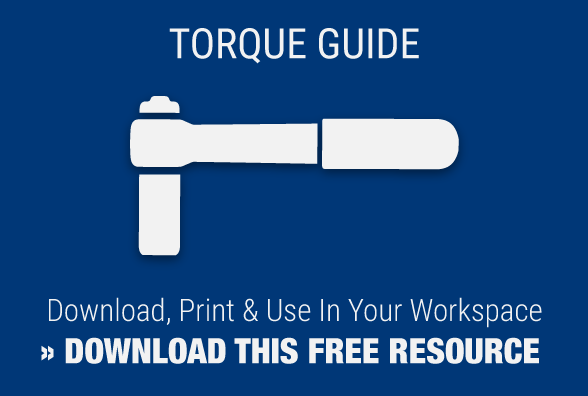 Make sure there aren’t any bystanders or visitors around when you operate an industrial bolting tool. Having people around who aren’t critical to the job at hand will only distract you, and distractions can lead to mishaps. 2. Personal safety is paramount. As you make sure your workspace is safe, also make sure you’re following safe work habits. Be sure to read the tool’s instructions before starting work. Make sure you have the appropriate safety equipment: eye and ear protection, a dust mask, non-skid shoes, or hard hats must be worn as needed. For some jobs, you may even need to wear a face shield or a leather apron. Make sure you’re dressed appropriately. Do not wear loose clothing or jewelry. If you have long hair, make sure it’s tucked away. Loose clothing, long hair and jewelry can become caught in moving tool parts. Keep your hands dry, clean and free from oil or grease. Always make sure your footing is firm when using industrial tools. Stay alert, and don’t try to do the job if you’re tired or under the influence of alcohol, drugs or medication. Look at a tool before you use it. Is anything broken? Are any parts misaligned? Repair any damage to tools before you use them. Make sure repairs are done only by qualified professionals. When servicing a tool, only use identical replacement parts. Using the wrong part can cause shock or injury. Be sure to maintain the labels and nameplates on tools, as they can carry important information. If this information is illegible or goes missing, contact the manufacturer for a replacement. Industrial tools should only be used for the jobs for which they were designed. Don’t force the tool. Use the right tool for the right job. You’ll get things done the right away, and you’ll be safer. Only use accessories suggested by the tool’s maker. Something that works with one tool might be dangerous with another. Plug grounded tools – with three prong cords – into a properly grounded installed outlet. Never modify the plug, or use an adapter plug. When storing battery packs, keep them away from paper clips, keys, nails, coins or other small metal objects. These things can make a connection from one terminal to another, causing a short in the battery terminals, which could lead to damage or a fire. Do not carry a tool by its cord, or pull the cord to unplug it. Keep the cord away from heat, oil, sharp edges and moving parts. Replace damaged cords right away. Industrial bolting tools can handle a wide range of jobs, and MaxPro carries a wide range of products to help meet your bolting needs. We sell and rent pneumatic, electric and hydraulic torque wrenches, as well as torque multipliers, manual wrenches and other tools.